If you need help with wills & estate planning, contact our law office. We have experience with this all-important and proactive step of protecting your assets. Families are left to sort out a mess when a loved one dies. The emotional element involves grief over the loss. However, if the family member passed away without leaving an estate plan, that can cause even larger problems. Inter-family battles may ensue and the possibility of a prolonged probate court battle exists. Have a say in the distribution of your assets and your course of health care. Do not put off estate planning. It is never too early to start the process. Contact us for help. At our law office., we help clients prepare wills, living wills and various types of trusts. Estate planning can give you peace of mind that your assets will be going to the people of your choice, not assigned to them based on a judge’s decision. If you want to determine your course of care if you are suddenly incapacitated, we can help you with a health care directive to communicate clearly your wishes for medical care. Also, we can create a power of attorney that designates a family member to make the important decisions regarding your medical care. 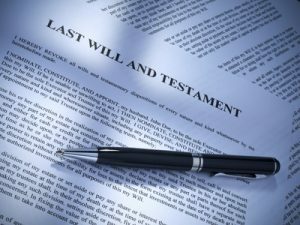 For more information or to schedule an appointment with an experienced estate planning lawyer regarding a will, trust or guardianship, please contact us.